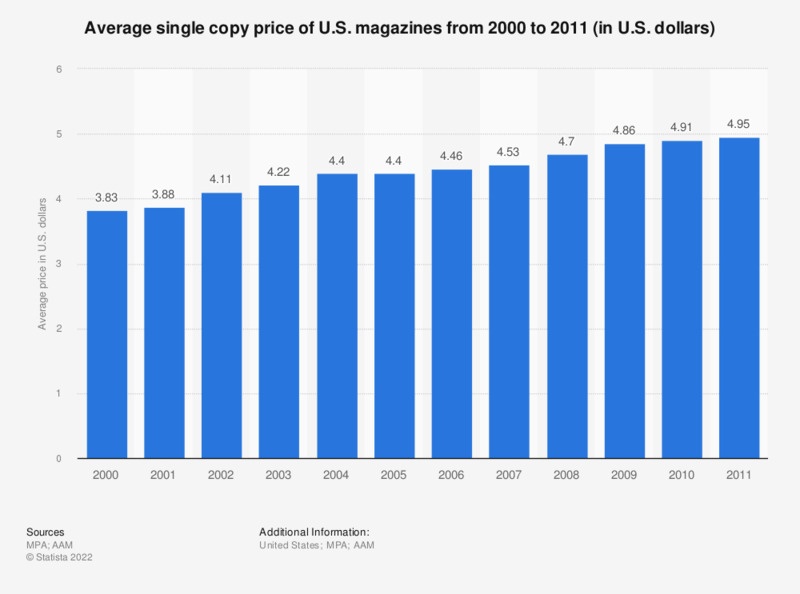 The statistic above shows the average single copy price of U.S. magazines from 2000 to 2011. In 2005, the average single copy price of a magazine was 4.40 U.S. dollars. Here you can find data on average magazine circulation per issue. Figures for 2000 and 2001 come from the previous editions of the Magazine Media Factbook.